"Another musical masterpiece from Mueller and crew! My top pick for 2018..."
Standard Deviations is an exploration of and an homage to the great Jazz Standards of the 20th century. These unique arrangements include fresh harmonic and conceptual "deviations". Some combine multiple tunes, letting one melody "deviate" into another, showing how many of these celebrated tunes are related. 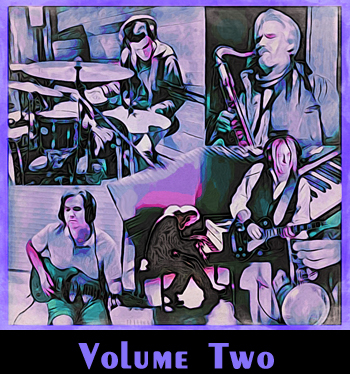 Volume One highlights Tobin’s uptempo arrangements and is dedicated to his father who preferred fast-paced instrumental jazz ensembles; Volume Two has quieter arrangements and is dedicated to Tobin's mother who loved the slower vocal ballads of the swing era. Although Tobin's acoustic grand is the central instrument (a third of the tracks are mainly piano), this is more an ensemble album interspersed with solo piano reveries. Instrumental guests include 3-time Grammy winning blues guitarist Paul Nelson (Johnny Winter, Eric Clapton) and Tobin's long-time collaborator saxophonist Woody Mankowski (The Muller's Wheel, Come In Funky, Rain Bather). 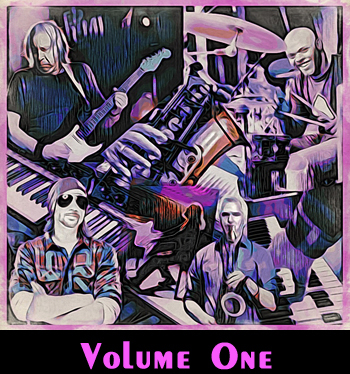 Four tracks include percussionist Lamar A. Moore (Lettuce, Karl Denson's Tiny Universe) and six feature drummer Mike Nappi (J Geils Band, The Orion Experience). See track lists below for specific player appearances. In addition to these fine artists, Tobin layers in vintage electric pianos and synths, B3 organ, prepared/altered acoustic pianos and Trilogy bass, generating a wide variety of textured settings. The album is produced by Factory Underground Studio's Kenny Cash, who also plays bass on a "Eleanor Rigby" (Volume 1, Track 2). Kenny's experience in Hip Hop, Rock and Soul combine with these multi-faceted musicians' expertice to blend blues and jazz, funk and bop, modal and new age into a contemporary, comprehensive collection full of unexpected delights. Art is meant to challenge convention, open up thought as well as emotion, challenge one's perspective and break down boundaries. As these songs morph between styles and juxtapose melodies, we are freed, just a bit, of preconceptions and established patterns. We discover new details, contemplate correlations we may have missed and reintegrate our memory with refreshed meaning. Jazz is an improvisational medium. Although Jazz musicians have a deep appreciation of musical history, they rarely play a song the same way twice. They are committed to the present, as both listeners and innovators. They see the here and now as a past/future nexus, where all "deviations" both support and extend music as an art form. Each piece in this collection illustrates how modernity evolves from tradition. In this way, Standard Deviations becomes an extension of Mueller's Masterworks Trilogy (Flow, Of Two Minds, Impressions of Water & Light) and could well be considered its fourth installment. An amazing jazz amalgam that showcases the great players Mueller chose to record with. But even more so, it captures at its zenith Mueller’s genius ability to dance in and out of motifs and themes while paying such great respect to the jazz composers he "quotes”. He makes the intertwining of the composer's intent with his own interpretation sound effortless, expansive, beautiful and awesome..."
Every track is both streamable and downloadable (see MP3s below). Several alternative takes and initial concept tracks are also listed. The alternative tracks are not available anywhere else and do not appear on the CD. However, purchasing the CD will give you a higher quality audio experience of the official Volumes 1 and 2. Photos from right sidebar: Billie Holliday, Hoagy Carmichael, Louis Armstrong & Bob Thiele, Thelonious Monk, W.C. Handy, George Gershwin, John Lennon & Paul McCartney, Weather Report, Duke Ellington, Richard Rodgers, Billy Strayhorn, Leonard Bernstein, Irving Berlin, Harold Arlen, Lionel Bart, Paul Desmond & Dave Brubeck, Jerome Kern, Johnny Mercer, Charlie Parker, Henri Mancini. Players below: Kenny Cash, Paul Nelson, Mike Nappi, Tobin Mueller, Lamar Moore, Woody Mankowski, Pat Wayland. You want ambition? Look no further than this two disc set by Tobin Mueller. He takes on jazz standards and reworks them like a mad scientist. Doing solo work in the lab, he is filled with lyricism and reflection. With fellow lab partners, he puts on the goggles and gives new allure to these standards. The burettes and pipettes were used to full effect on this experimental session." What a Wonderful World - by Bob Thiele (as "George Douglas") and George David Weiss. Departing from Billie Holiday's original empathic performance, I use higher energy funk-fusion to capture the chaotic energy of youth sorting out the confused potential of a world without proper moorings. This synthesis of funk, bop, modal, and jazz, all giving way to a post-bop new age piano solo, is a fitting opening track for this genre-blending collection. Half way through, the tune deviates into What A Wonderful World - an oasis of nurturing gentleness and love. The returning funk groove has less certainty than the initial groove, yet perhaps more adventurousness. By the time Bessie Smith had the opportunity to put her inimitable stamp on “St. Louis Blues” in 1925, this W. C. Handy classic was already the most popular and well-known blues song in existence. It's one of the first songs I accompanied my mother on, as a teenager. However, this is not at all the way I played it for my mom 45 years ago. This arrangement is an homage not only to W. C. Handy, but to Herbie Hancock, Dr. John and Paul Butterfield as well. The straight ahead funk shuffle played by drummer Lamar Moore gives this legendary tune a fresh feel. Blues, funk and jazz are kept in careful yet impromptu balance. Woody's jazz saxophone interjections, my organ and piano work, and the hip bass playing form the core. However, Grammy-winning Paul Nelson's electric guitar is the true centerpiece. The conversational nature of trading solos is grounded in the jazz tradition, but Paul's lead guitar transforms this multi-genre arrangement into a vintage blues piece. NOTE: The alternative version Bonus Track includes the original extended organ solo prior to the addition of drums, sax and guitars. 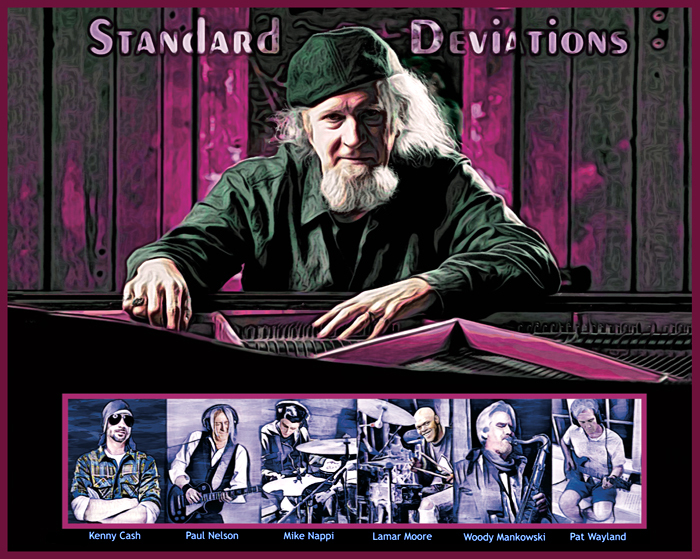 Consistently intriguing and colorful, spirited and unpredictable, Standard Deviations puts the focus on Tobin Mueller’s vivid imagination and his obvious love for this timeless material. Well worth exploring." Note: The pre-production concept track represents the initial arrangement, prior to contributions from (in order of their contributions) percussionist Lamar Moore, saxophonist Woody Mankowski, drummer Mike Nappi and bassist Kenny Cash. The percussion on the demo consists of MOTU's World Instrument congas and djembes, as well as a standard MIDI drum set. Some of the MIDI work ended up being incorporated into portions of the final track, complementing both Lamar's hand percussion and Mike's drumming. Combining two of my favorites - Birdland by Weather Report (fusion jazz) and Long Distance Runaround by Yes (progressive rock) – into a single medley has been a long-time desire of mine. Fusion and progressive rock came about at the same time and I’ve always conflated the two. Long Distance Runaround is not just an introduction, but is incorporated into the middle frenetic piano solo and other transitional sections as well. (Note that the opening instrumental duet is made up of dueling Wurlitzer electric pianos, not guitars.) Birdland splices themes one after another in a shish kabob style, so integrating a new theme came naturally. The frenetic ending developed as an unexpected collaborative consequence between the drummer and pianist... at the end of a very long recording session! Blue Monk - by Thelonious Monk. This begins traditionally, presenting the legendary opening blues riff from Moanin'. But the arrangement transforms quickly into modern fusion as Paul Nelson rips his powerful guitar solo. Once Blue Monk takes over half way through, the interplay between jazz and blues is solidified. Mike Nappi's drumming adeptly fuses the jazz and rock world. Paul uses three different guitar settings to provide wonderfully evocative blues variations. My piano channels a bit of Thelonious Monk, empasizing harmony over lead phrasing, creating a nice contrast to the intricate guitar work. Trilogy bass weaves its a dreamy pulse just beneath the surface. Note: The pre-production track lets you hear the concept brought to the studio prior to the drum and guitar collaborations. After Hours - by Avery Parrish; with additional inspiration from Monk's Point - by Thelonious Monk. The first recording of this jazz-blues classic was by Avery Parrish with the Erskine Hawkins Orchestra, June 10, 1940. It was an instant hit. Noteworthy subsequent versions were recorded by the likes of Benny Goodman, Dizzy Gillespie, Sonny Rollins, Woody Herman and numerous others. Since 1984 it has been the theme song for the Jazz After Hours program on NPR. Woody Mankowski and I perform it as a straight ahead trio, with the organ playing the part of the larger orchestra (as heard in the Big Band versions). At 2:55, the song transforms into a twisted blues take on Monk's Point, forming the tune's climax. This is the closest I've ever gotten to classic blues. It's one of my favorite tracks on the album. This Big Band style arrangement features Mike Nappi on drums, anchoring the ensemble. In reality, however, it is a two-man "duet", with me playing all the other instruments: acoustic piano, Fender Rhodes and Wurlitzer electric pianos, B3 organ, and Trilogy bass. Although it sounds like a jazz guitar solo in the middle, that is a Wurlitzer piano (@2:04). Cool is a wonderful example of the tension between letting it all hang out and holding back. West Side Story, by the way, is the reason why I wanted to write musicals. Every song in that show is brilliant. Dave Brubeck was my most impactful musical mentor. He wedded classical music precision with jazz improvisation, as I've tried to do throughout much of my career. A drum/piano duet, this arrangement is an homage to the groundbreaking album Time Out that revolutionized music. In my own personal evolution, Take Five was a stepping stone to countless time signature experiments. Consider the drummer the main soloist in the first half of the arrangement. Listening in headphones will enable you to hear more of the subtle personality Mike Nappi's performance conveys. Note: The piano-only Bonus Track is my initial solo concept rendition, dedicated to my friend Jeffrey Price who thinks nothing can improve on a piano solo :-) Gotta love him! You’d think that after reviewing eighteen albums by an artist, a reviewer would have a pretty good idea of what to expect when getting new music from that artist. Well, when it comes to new music from Tobin Mueller, that is never the case. Over the past fifteen years or so, Mueller has released such a varied collection of albums that any new releases are always a fascinating surprise. 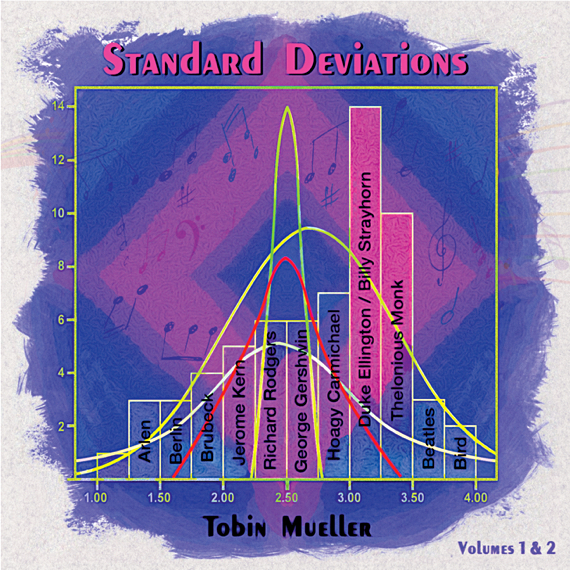 Standard Deviations is another musical masterpiece from Tobin Mueller and crew! " 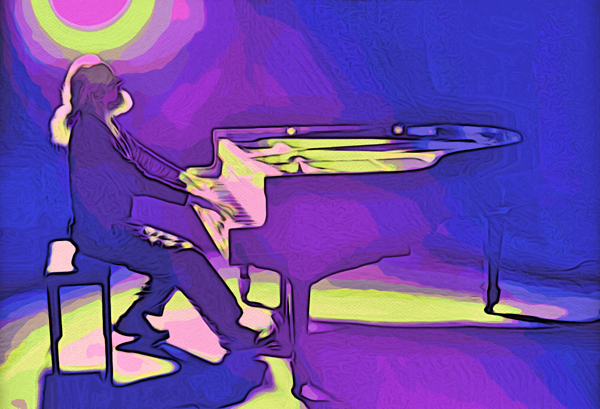 Thelonious Monk remains one of the greatest influences on both my playing and writing. I try to add something new to this Monk classic by making it a concept piece: It begins in a bar, reflecting the title. An out of tune saloon upright slowly morphs into my grand piano, as the entire piece rises from the smoke-filled room. (A version with me talking will be included on the not-yet-released The Best of Tobin Mueller.) Woody Mankowski's tenor sax adds to the atmospherics, kicking it up a notch with a great solo midway through. Mike Nappi's drumming grounds the piece, then propels it into its climax. Note: The alternative version is the original concept track I first brought into the studio, before saxophone, vibes and drums were added. It consists of three pianos (2 acoustic and 1 electric) and bass, plus a prepared piano providing the percussion. (The prepared piano sounds like a drum kit, but its really a piano filled with nails etc.) I thought it would be fun to share the bare bones idea before my producer Kenny Cash started suggesting changes. Take the "A" Train - music by Billy Strayhorn. Mercer Ellington (Duke's son) found a draft of Take the "A" Train in a trash can after Strayhorn had discarded it. It soon became the most famous composition to emerge from the historic collaboration between Billy Strayhorn and the Duke Ellington orchestra. The title refers to the then-new "A" subway service that runs through New York City, going at that time from eastern Brooklyn up into Harlem and northern Manhattan. The song was composed in 1939, after Ellington offered Strayhorn a job in his organization and gave him money to travel from Pittsburgh to New York City. Ellington wrote directions for Strayhorn to get to his house by subway, directions that began: "Take the A Train". Our version is a post-bop stream of consciousness journey through a more modern urban landscape. NOTE: The alternative preproduction concept track is all keyboards, synth drums and piano. This moody/chill arrangement was my original concept, but after Lamar started playing, we switched gears. Autumn Leaves - music by Joseph Kosma; with quotations from Ornithology - by Charlie Parker and Benny Harris. Originally a 1945 French song, "Les Feuilles mortes" (literally "The Dead Leaves"), Autumn Leaves was composed by Hungarian-French composer Joseph Kosma with lyrics by poet Jacques Prévert. The Hungarian title is "Hulló levelek" (Falling Leaves). Yves Montand (with Irène Joachim) introduced "Les feuilles mortes" in the film "Les Portes de la nuit" (1946). Autumn Leaves was the first big band tune I ever played (back in my High School jazz band days, as lead saxophonist). I consider Charlie "Bird" Parker the greatest alto sax player; I couldn't resist the chance to combine the two: the swirling flight of leaves and birds. Note: I've included a streamable mp3 of the original recording of Ornithology by The Charlie Parker Septet with Benny Harris on trumpet. This enables the listener to better appreciate the origins of the countermelodies I employ. Ornithology is a contrafact – a newly created melody written over the chord progression of another song, in this case the standard "How High the Moon". Both Autumn Leaves and Ornithology were first recorded in the same year, 1946. Stardust was my mother's favorite song, the only song I ever heard her play on the piano. The Latin-Calypso feel of this arrangement would surprise her yet, hopefully, also delight her. I can see her dancing to it in the kitchen with breezy joy. Woody Mankowski provides the soprano saxophone colorations. Simplicity is at the core of this arrangement, an oasis of restraint in an album of compressed ideas and restless diversity. Note: the bass line is barely audible when played through a computer's speakers. Headphones may be needed. After recording this medley as a solo piano, I had an idea to record individual notes and reverse them to create the feel of shooting stars in the background. One thing led to another and pretty soon I was programming a Native Instrument FM8 module to add additional augmentations. I like the way the acoustic piano moves in and out of the electronic enhancements. The bells occasionally dip below the surface of the moonlit river. Wind chimes and other whirling sounds remind the listener of the wind that will soon take Dorothy over the rainbow. I bring some new elements to this classic tune, something outside the blues setting that has been done so successfully by Ray Charles, Ella Fitzgerald, Eric Clapton and others. Georgia On My Mind is about home, an elusive and changing concept. I intermix Impressionism, jazz, blues and tin pan alley to create a full life journey. The juxtaposition of styles speaks to the idea of how memory folds together disparate emotions with redeeming grace. I love the intellectual glider plane ride through what I envision is Mueller's thoughts as he plays. I can hear his soul, I swear!" Composed as an instrumental in 1932 by Duke Ellington, the song was inspired by three of Ellington's grade school teachers. "They taught all winter and toured Europe in the summer," the Duke wrote. "To me that spelled sophistication." My piano captures the mood of an open-minded traveler descending stairs onto a tarmac of new experience and mysterious culture. Woody Mankowski's saxophone introduces Ellington's transcendent melody (the epitome of 20th century "popular sophistication" - a phrase that could well be an oxymoron in less capable hands) with melancholy. The arrangement slowly morphs into bewitched then frolicsome reverie. There are intentional parallels between this arrangement and that of Somewhere Over the Rainbow. I wanted to interpret a journey beyond the rainbow, into the stars, something lighter than air, romantic, moonlit. One of the wonderfully balanced melodies in the American Songbook, I support it with chords that surprise yet comfort, uplift yet are not frivolous, creating a contemplative motion that both cherishes memories and looks forward with anticipation. I tilt my hat to Bill Evans as a major influence in the opening (his shadow falls across many of my harmonic choices) and to Keith Jarret during the subsequent variations. We stand on the shoulders of giants. This is a simple keyboard duet between an acoustic grand and a Fender Rhodes, with added percussion for rhythmic color and variation. The electric piano plays the theme from The Way You Look Tonight and the acoustic piano plays The Nearness of You, showing how related the two melodies are. I love how they fit together. (Certain liberties of timing were required to make them perfectly compatible.) Mike Nappi's drums underscore these well known standards with class and elegance. In 1953, this exquisitely balanced tune (from the musical film Calamity Jane) introduced Doris Day to the world. If that were the only version of the song, I would never have picked it for this collection, however. Many others have covered it, from Frank Sinatra and Freddy Fender, but it was pianist Brad Mehldau's live version that made me realize how supremely pretty this songs is. The slow tempo and subtle shifts into modal jazz adds an air of hushed melancholy. A secret love can be a thrilling thing, but more often ends in tragic longing and emptiness. I've tried to make this version more about sweet remembrance. My Funny Valentine is a show tune from the 1937 Richard Rodgers and Lorenz Hart musical Babes in Arms. A popular jazz standard, the song appears on over 1300 albums performed by over 600 artists. My favorite is the Miles Davis Quintet version; although Massimo Faraó's piano interpretation is a close second. (It's impossible not to associate Chet Baker with this tune as well.) I have kept the romantic tempo and accentuated the moodiness with synths and a hint of whole tone harmonies. My electric piano solo (in the second half of the arrangement) reminds me of my college days when a Wurlitzer piano was my go-to instrument. Playing it again lent an additional layer of nostalgia. I've long wanted to combine these three rhythmically-themed classics into a single manic romp. Fascinating Rhythm was introduced in the 1924 Broadway musical "Lady Be Good" by Fred and Adele Astaire. I Got Rhythm was published in 1930. Its chord progression, known as the "rhythm changes", is the foundation for many other popular jazz tunes such as the Charlie Parker/Dizzy Gillespie bebop standard "Anthropology (Thrivin' on a Riff)". It is from this latter style that I take my cue. The introduction is Ellington's It Don't Mean a Thing (If It Ain't Got That Swing) (1931) which I've always associated with Gershwin's previous classics. Its title was the "credo" of Ellington's trumpeter, Bubber Miley, who was dying of tuberculosis at the time; Miley died the year that the song was released. This arrangement combines swing jazz with progressive rock, updating the rhythmic innovations of Gershwin and Ellington with my own personal touch, including 5/4 time during the I Got Rhythm section. Combining these two songs presented a certain unity of pathos for me. One is about the aftermath of a break up; the other is about the longing inherent in people simply needing people, resulting in the never-ending cycle that fuels so many songs (and relationships). After playing with classic jazz chord substitutions, the arrangement gravitates toward Chopin, forgoing suggested genre rules for a deeper romanticism. Smoke Gets In Your Eyes by composer Jerome Kern (and lyricist Otto Harbach) is from his 1933 musical Roberta. People is a song composed by Jule Styne with lyrics by Bob Merrill for the 1964 Broadway musical Funny Girl starring Barbra Streisand, who introduced the song. We too easily forget how many of our cherished songs came from Musical Theatre's dramatic storytelling and character revelations. Where Is Love? - by Lionel Bart, from the musical Oliver! This song was written in the small French fishing village of Le Lavandou and had its first performance in the summer of 1939 in a local bar. The composer Sherwin played piano as Eric Maschwitz (lyricist) sang the words while holding a glass of wine. According to legend, nobody seemed impressed. I love this image. If any song could be made better by holding a glass of wine, it is this one. The melody is wonderfully conversational, like Burt Bacharach's "Alphie". Playing this tune is like being caught in a meditatively mindful stream of consciousness. The first version I recall hearing was by Manhattan Transfer (which won Gene Puerling a Grammy in 1981) even though the song had already been recorded by many of my favorite singers (Mel Tormé, Bobby Darin, Frank Sinatra) and big bands (Glenn Miller, Sammy Kaye). It is one of the most beautiful songs ever written. The many runs I use symbolize the nightingales swooping above the street lamps in the night sky.